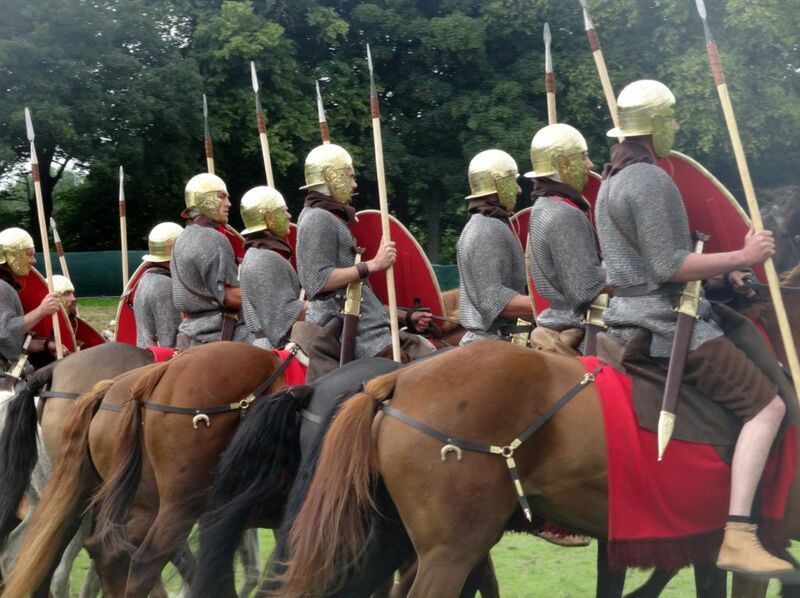 …Well, quite a lot really (please refer to this excellent and accurate historical document), but yesterday, it was all about the cavalry. 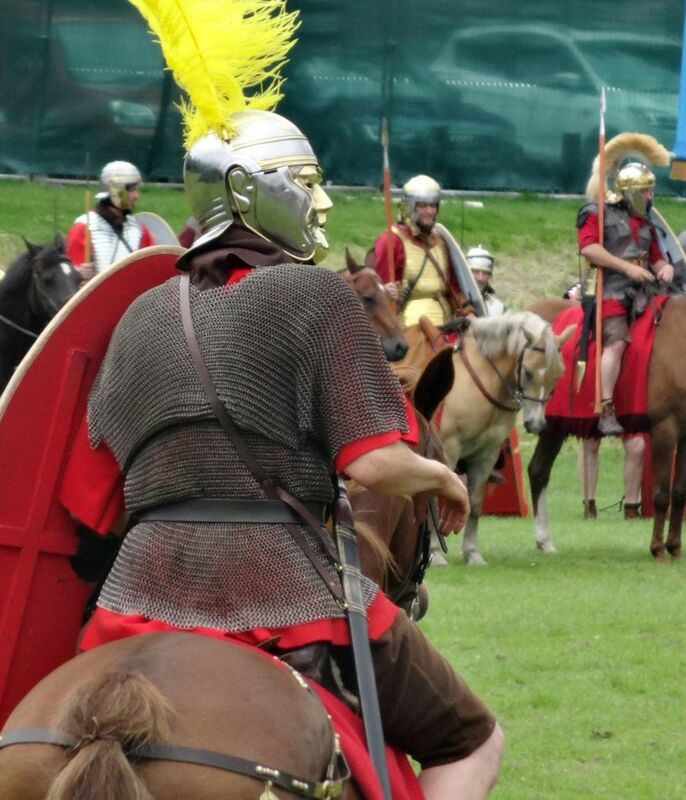 Ian and I went to the Hadrian’s Cavalry Turma! event in Carlisle. 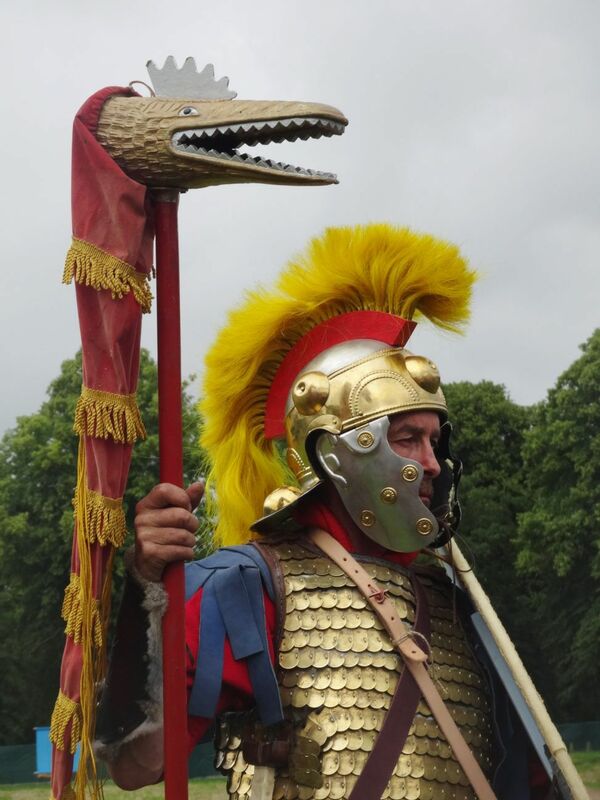 It was great fun, and a very effective and exciting way to bring history to life, acting out some of the manouvres from the Roman cavalry text-book, Ars Tactica for the first time. 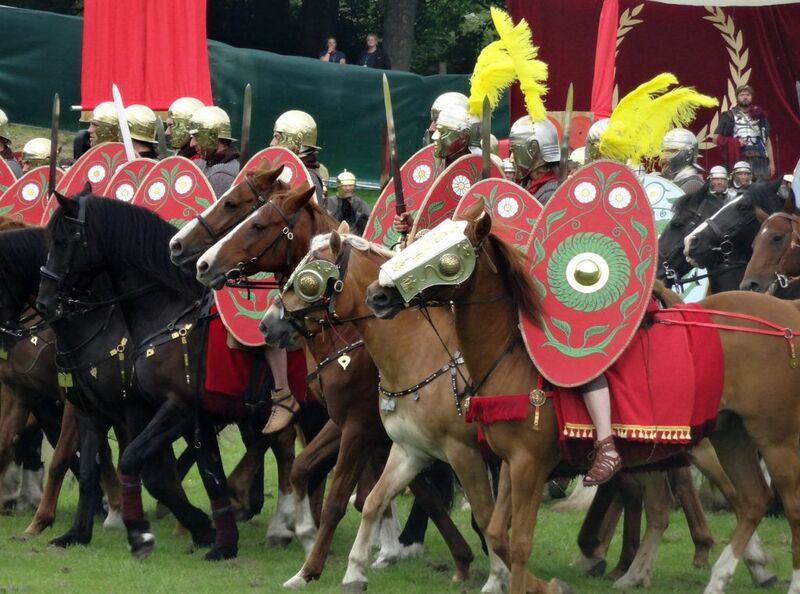 Even the Emperor Hadrian showed up – cue Roman salute! 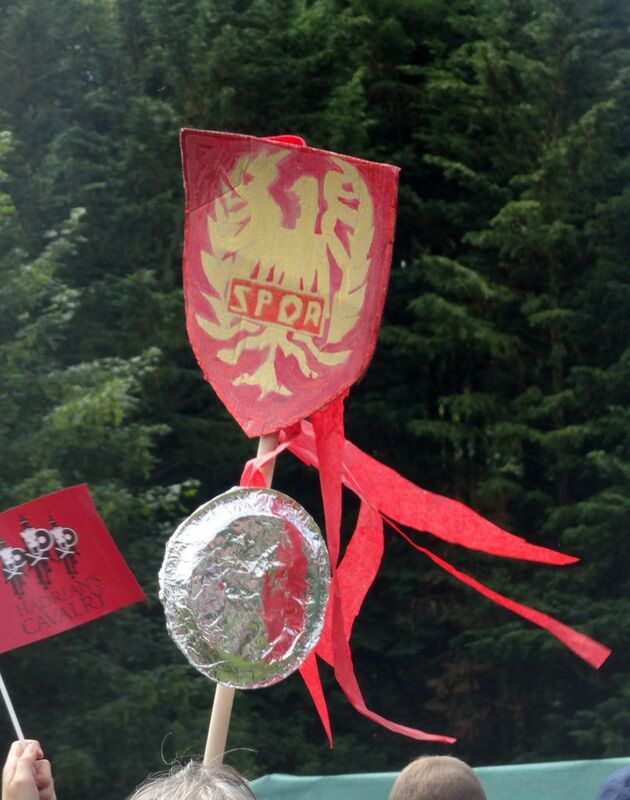 Families and children really got into the spirit and there was an amazing array of home made standards, Dracos and even some hobby horses with streamer manes. Seeing kids so engaged, with their imaginations fired up, is one of the things that makes my job so special. This stand in the exhibition took my fancy. Check out the raised wooden bath shoes! 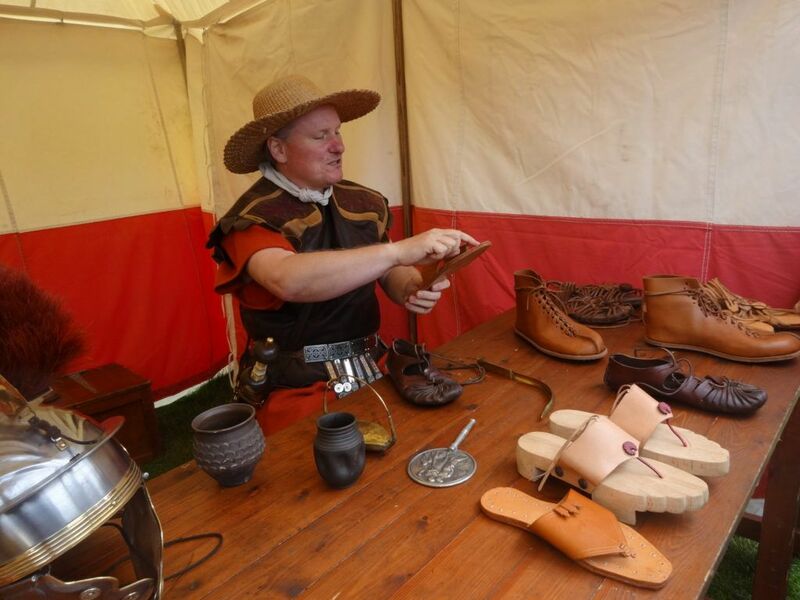 All of the shoes on display were made using evidence excavated at Roman Vindolanda. 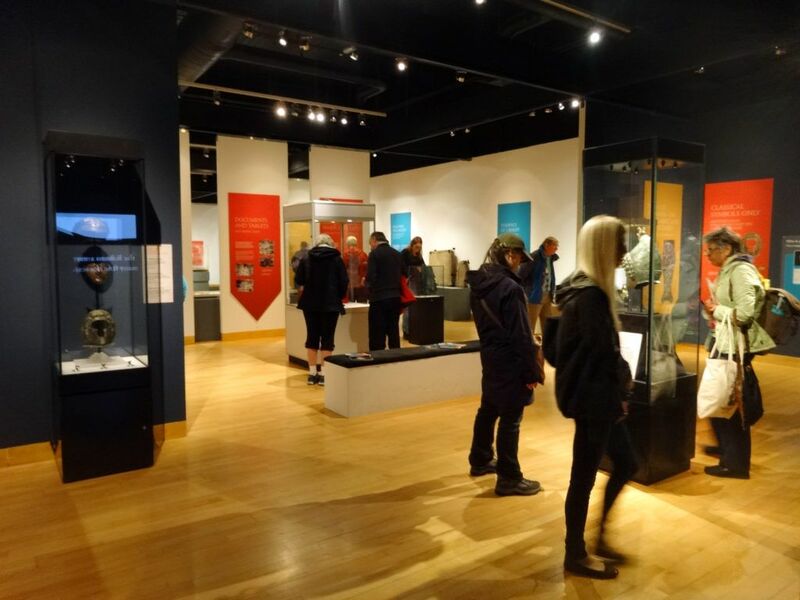 While we were there, we took the opportunity to see the installed Hadrian’s Cavalry exhibition in Tullie House Museum and Gallery across the road. 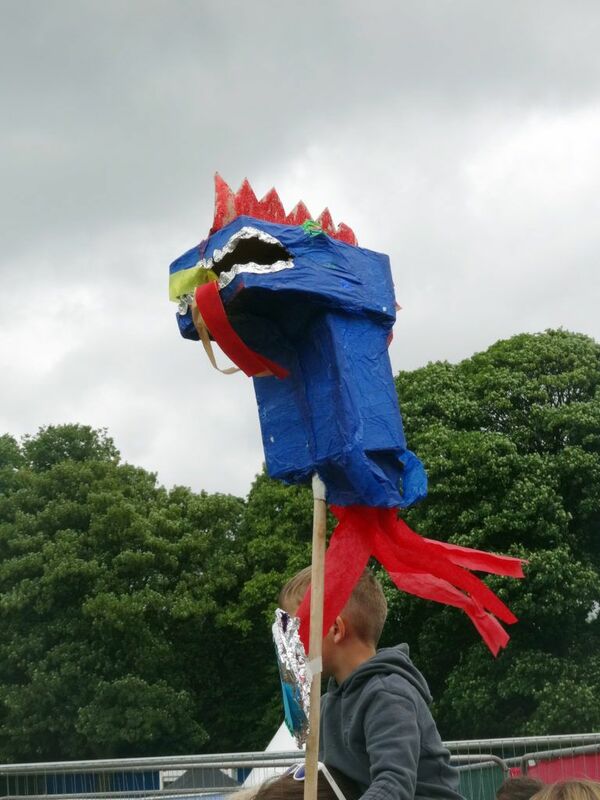 It was lovely to see so many people enjoying it. 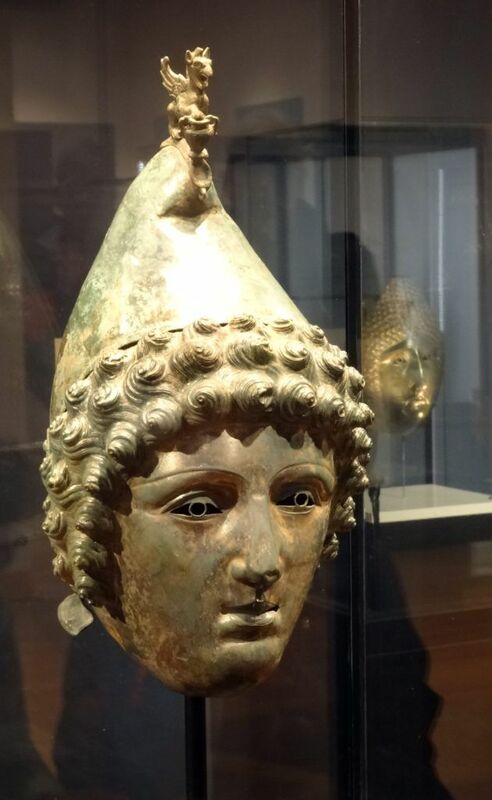 It was the also first time I’d seen the famous Crosby Garrett helmet and the other wonderful helmets and objects up close and personal, and I have to say I had a little tear in my eye – they are so beautiful. 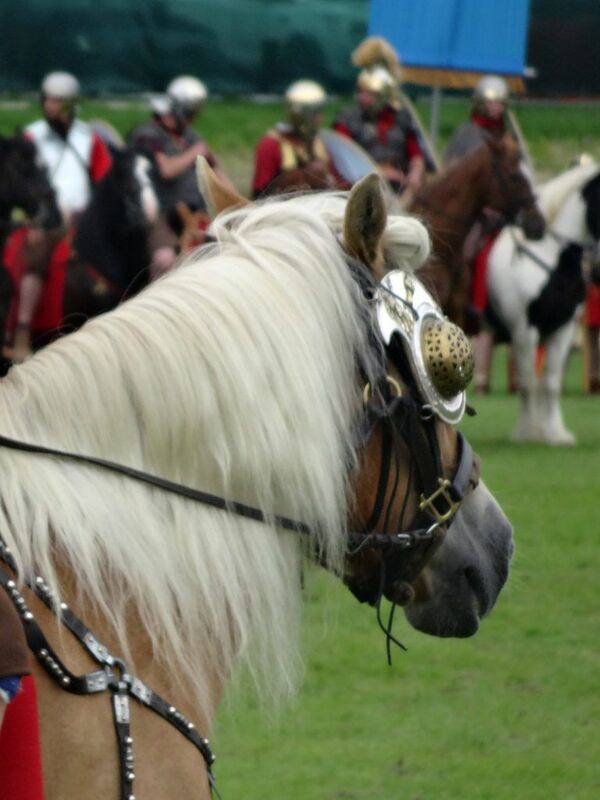 Click here to see more pics of the Hadrian’s Cavalry exhibitions.